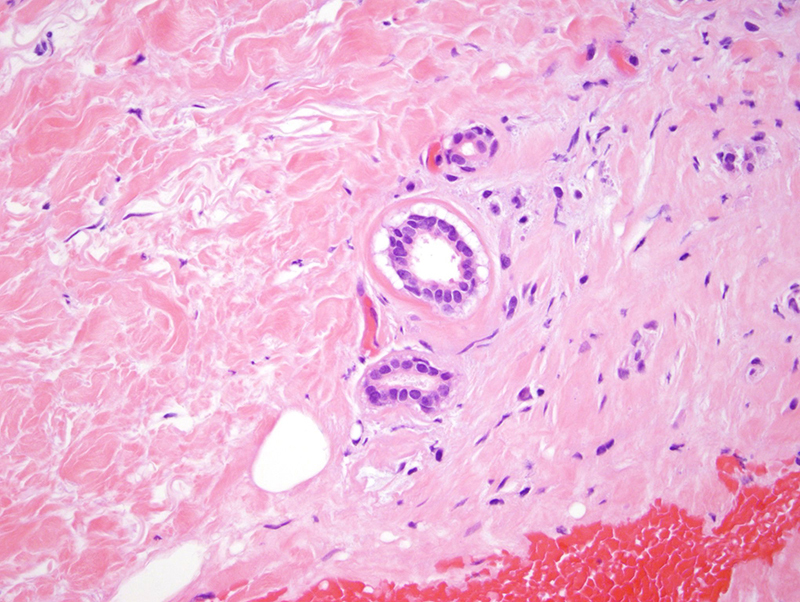 The biopsies are highly characteristic for what we have previously published on this topic of paraneoplastic scleroderma. 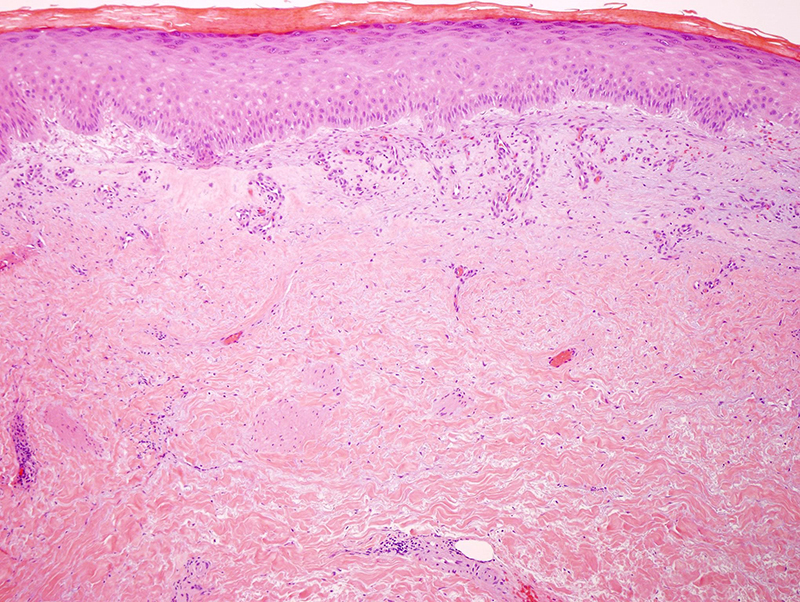 These patients presented with three different sclerosing morphologies clinically namely systemic sclerosis with acral sclerosis, eosinophilic fascitis and morphea. The patients were typically female and elderly with a mean age of 68 years and median age of 65 years. 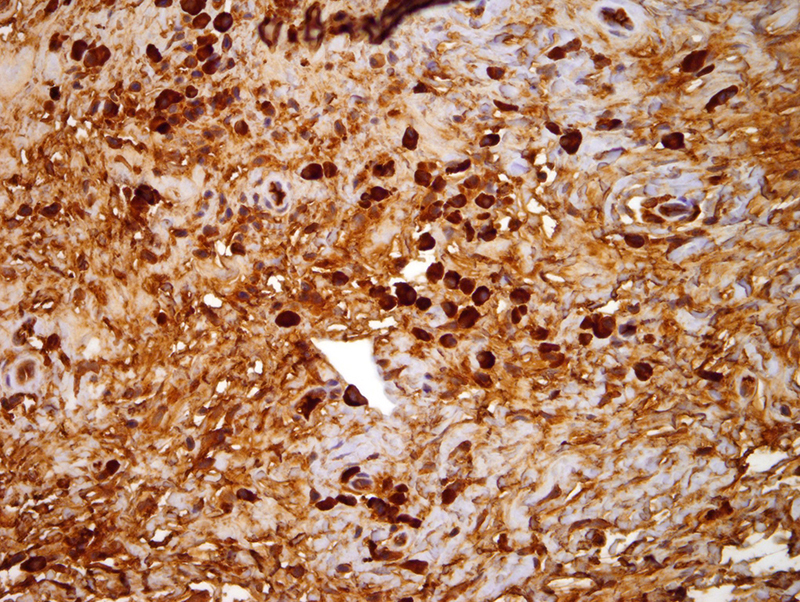 In our patient cohort of ten patients the primary plasma cell dyscrasias were in the context of a monoclonal gammopathy in six, multiple myeloma in three and Waldenstrom's macroglobulinemia in one with one patient fulfilling criteria for POEMS syndrome (polyneuropathy or organomegaly, endocrine dysfunction, monoclonal gammopathy and skin lesions). 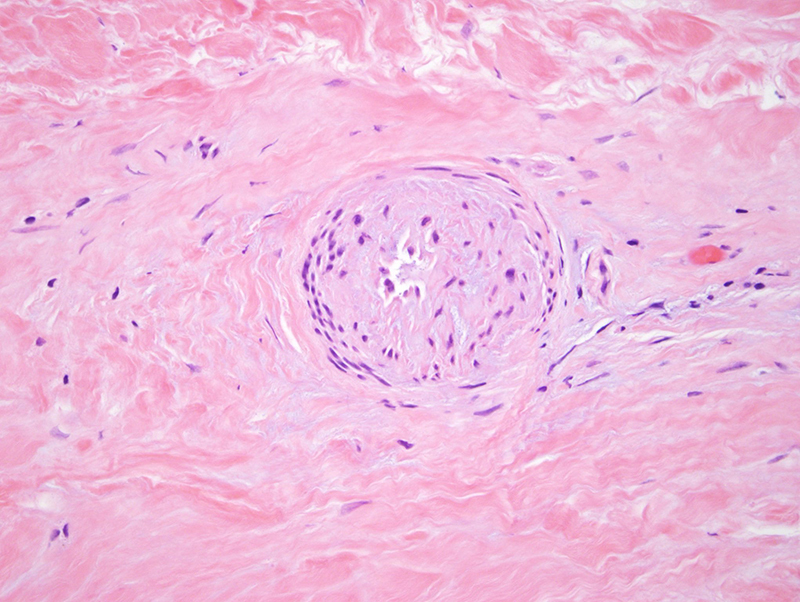 The most common presentation was in the context of classic eosinophilic fasciitis. 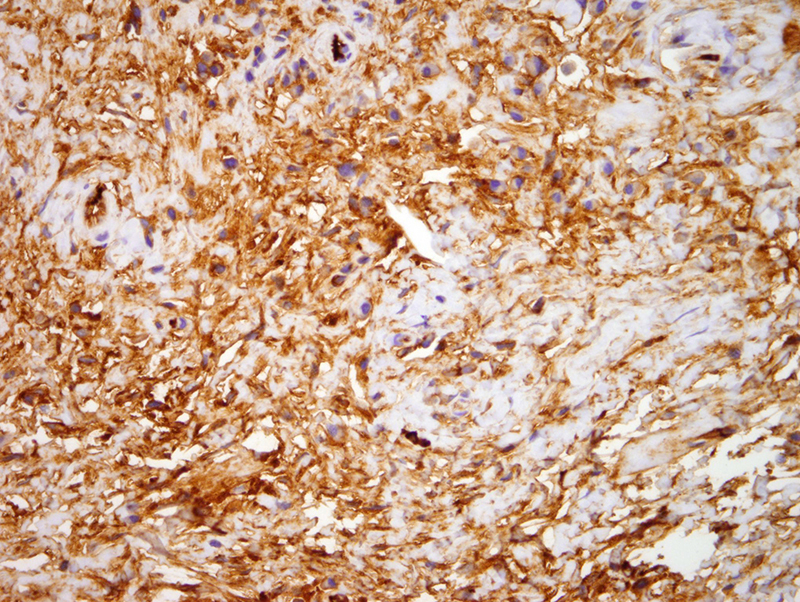 We had hypothesized that the link between the scleroderma reaction be it in the context of morphea, systemic sclerosis or eosinophilic fasciitis and the plasma cell dyscrasia (i.e., the monoclonal gammopathy of undetermined significance Waldenstrom's macroglobulinemia and/or multiple myeloma) reflects the ability of the clonally restricted plasma cells to elaborate TGF beta a potent inducer of collagen synthesis. The patients did experience improvement of their skin findings with successful treatment of their underlying plasma cell dyscrasia with treatment regimens including rituximab, stem cell transplantation, methotrexate and prednisone. 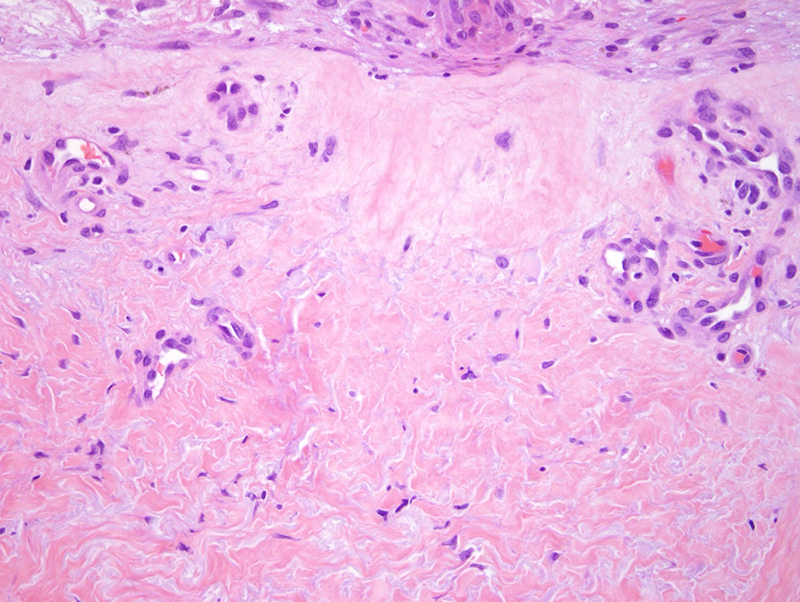 In our cohort half the cases did have infiltration of the classic scleroderma reaction with light chain restricted plasma cells. Without a doubt these clonally restricted plasma cells are evoking a clinical process that is diagnostic of a paraneoplastic morphea reaction. 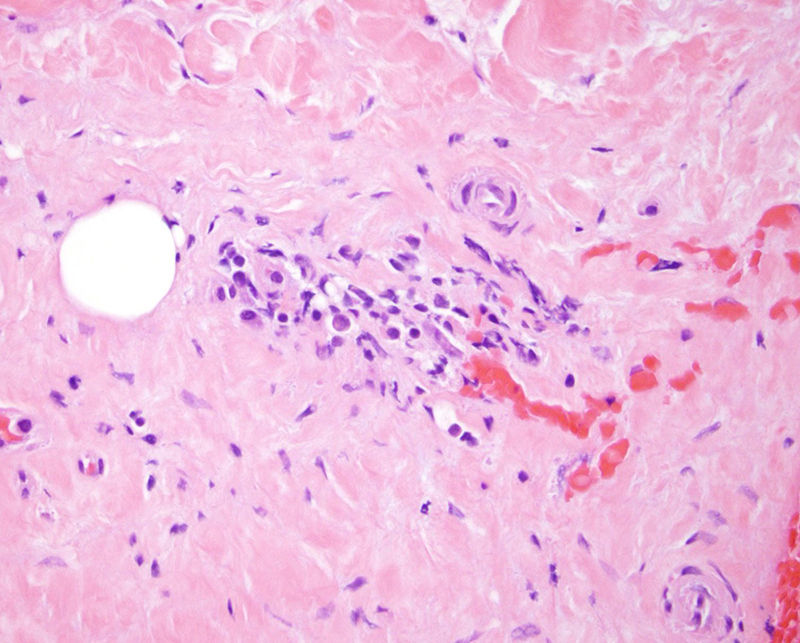 It would appear that this patient, at least at this point in time, does not have classic features of systemic sclerosis although certainly this histopathology could be seen in systemic sclerosis. I think the patient would likely benefit from rituximab therapy. The patient should be seen at a multiple myeloma clinic since such clinics typically encompass the evaluation and treatment of patients with plasma cell dyscrasias not exclusively in the context of multiple myeloma. 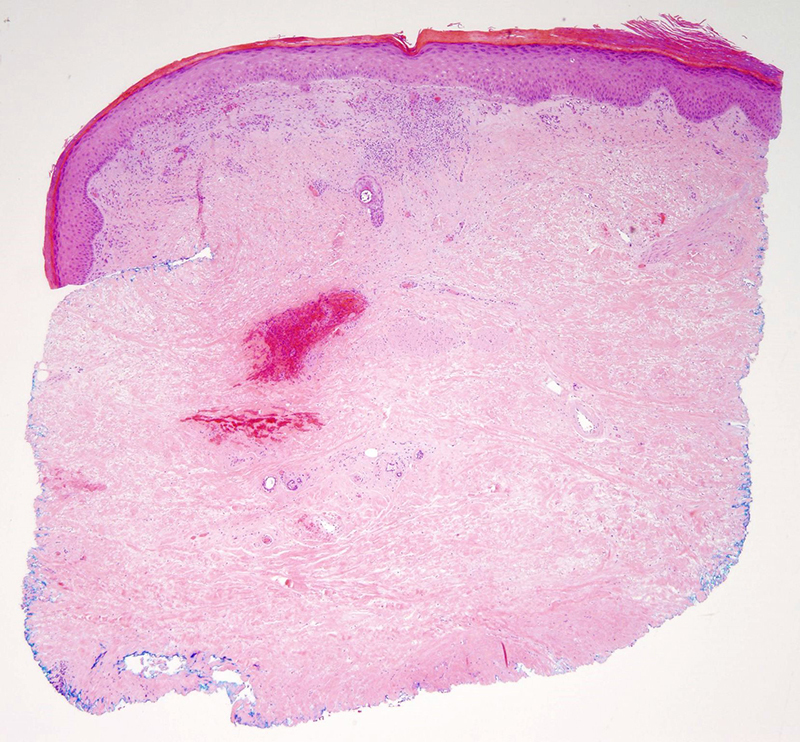 Paraneoplastic scleroderma-like tissue reactions in the setting of an underlying plasma cell dyscrasia: a report of 10 cases. Am J Dermatopathol. 2013 Jul;35(5):561-8.